Draft: 2013, Toronto Blue Jays, 6th rd. Established a career-high with 31 starts and 159 strikeouts in 2018...his 159 strikeouts were the secondmost in a season by a Detroit lefthanded pitcher since 1974, trailing only Mickey Lolich, who fanned 202 batters in 1974...Finished the season ranked 10th in the American League with a .228 (146x639) opponents batting average…among AL pitchers following the All-Star break, he ranked seventh in WHIP (1.08) and 10th in opponents batting average (.230, 63x274)...Excelled at Comerica Park, posting a 6-3 record with a 2.63 ERA (78.2IP/23ER) and 69 strikeouts in 14 starts, while he went 3-10 with a 5.89 ERA (91.2IP/60ER) and 90 strikeouts in 17 road starts…ranked fourth among AL pitchers with a 2.63 home ERA (min. 75.0 innings pitched)...Started the season by throwing 6.0-or-more innings and allowing one run-or-less in each of his first three starts…became the first Tigers lefthanded pitcher since at least 1908 to work at least 6.0 innings and give up one run-or-less in each of his first three starts of the season...Named the Tigers Pitcher of the Month for May after posting a 3-2 record with a 3.18 ERA (34.0IP/12ER) and 31 strikeouts in six starts...Tossed a season-high 8.0 shutout innings on July 31 vs. Cincinnati, scattering four hits and fanning seven...Recorded the first double-digit strikeout game of his career on September 8 vs. St. Louis, striking out 11. Established career highs in games pitched (26), games started (25), innings pitched (135.0) and strikeouts (110) in 2017, while tying a career high in wins (6)...Made eight starts at Triple A Toledo during the season, throwing 6.0-or-more innings in six of his eight starts and allowing three runs-or-less in seven-of-eight starts...Started five games for Detroit in April and posted a 2-1 record with a 3.86 ERA (25.2IP/11ER) and 19 strikeouts...Picked up his first Major League hit on May 10 at Arizona off Zack Godley... Recorded his first career complete game shutout on September 17 vs. Chicago (AL), allowing just one hit and striking out five...threw 8.2 no-hit innings and allowed a two-out double to Tim Anderson in the ninth inning, breaking up the no-hitter...Named Tigers Pitcher of the Month for September after compiling a 1-3 record with a 2.95 ERA (36.2IP/12ER), 30 hits allowed, 11 walks and 30 strikeouts...ranked fourth in the AL with 36.2 innings pitched in September, while he was 10th with a .216 (30x139) opponents batting average. Established career highs in most statistical categories in 2016, including wins (6), games pitched (20), games started (18), innings pitched (97.1) and strikeouts (82) - also finished the season with a career-best 4.53 ERA (97.1IP/49ER)...Started 11 games at Triple A Toledo and posted a 2-5 record with a 2.25 ERA (53.0IP/16ER) and 57 strikeouts - allowed three runs-or-fewer in all 11 starts... Recalled from Triple A Toledo on April 24 - recorded the longest relief appearance of his career that night at Cleveland, throwing 4.2 scoreless innings with two hits allowed, three walks and two strikeouts...Optioned to Triple A Toledo following the game on April 24... Struck out a season-high nine batters on May 20 at Lehigh Valley... Recalled from Triple A Toledo on May 27...Optioned to Triple A Toledo on June 18... Recalled from Triple A Toledo on July 8... Notched his first quality start of the season on July 18 vs. Minnesota, throwing 6.0 shutout innings with three hits allowed, one walk and a career-high-tying seven strikeouts. Started four games in July and posted a 2-0 record with a 2.21 ERA (20.1IP/5ER) and 23 strikeouts, while he went 3-0 over six appearances, five starts, with a 2.79 ERA (29.0IP/9ER) and 23 strikeouts... Optioned to Triple A Toledo on August 29... Recalled from Triple A Toledo on September 6...Posted 10 consecutive starts with three-or-fewer runs allowed from July 9- September 6 - during the stretch, which also included one relief appearance, Boyd had a 5-1 record with a 2.56 ERA (56.1IP/16ER), 49 hits allowed, 16 walks and 52 strikeouts...Threw a career-high 8.0 innings on September 20 at Minnesota, allowing one run on three hits with one walk and a career-high-tying seven strikeouts... Lefthanded hitters posted a .172 (11x64) average, while righthanders batted .276 (86x312) against him... Appeared in 10 games, including nine starts, at Comerica Park and went 3-3 with a 4.89 ERA (46.0IP/25ER) and 37 strikeouts…made 10 outings, including nine starts, on the road and was 3-2 with a 4.21 ERA (51.1IP/24ER) and 45 strikeouts... Compiled a 0-2 record with a 5.77 ERA (34.1IP/22ER) and 27 strikeouts in seven games prior to the All-Star break, while he was 6-3 with a 3.86 ERA (63.0IP/27ER) and 55 strikeouts in 13 games following the All-Star break. Opened the 2015 season in the Toronto Blue Jays organization before being acquired by the Tigers along with Daniel Norris and Jairo Labourt in exchange for David Price on July 30. In 13 appearances, including 12 starts, between the Tigers and Blue Jays in 2015, he compiled a 1-6 record with a 7.53 ERA (57.1IP/48ER) and 43 strikeouts. Compiled a 9-2 record with a 1.65 ERA (114.2IP/21ER) and 108 strikeouts in 19 minor league starts. Won the MiLB.com fans' choice vote for best starting pitcher in the minor leagues. Selected as a minor league All-Star and a Double-A All-Star by Baseball America...in 19 starts in the minors, he led all qualified starters in WHIP (0.85) and opponent batting average (.176), while he was second in ERA. Assigned to Double-A New Hampshire to begin the season and did not allow a run in his first three starts, a span that stretched 14.1 innings. Named the Eastern League Pitcher of the Week for the week ending May 17 after finishing the week with a 1-0 record, a 0.00 ERA (12.0IP/0ER) and 11 strikeouts in two starts. Finished the month of May with a 3-0 record, a 1.19 ERA (37.2IP/5ER) and 30 strikeouts in six starts. Made his first start with Triple-A Buffalo on June 14 vs. Charlotte and allowed two runs, one earned, on six hits with eight strikeouts in 7.0 innings. Had his contract purchased from Triple-A Buffalo on June 27 -- made his major league debut that day vs. Texas throwing 6.2 innings and allowing four runs on nine hits with seven strikeouts. Had his contract optioned to Triple A Buffalo by the Blue Jays on July 2. Made four starts with Buffalo in July and finished the month with a 2-0 record, a 3.00 ERA (27.0IP/9ER) and 25 strikeouts. Made his debut with Triple-A Toledo on August 1 at Louisville and thew 2.0 hitless innings with three walks and one strikeout. Had his contract recalled from Triple-A Toledo by the Tigers on August 5 -- made his Tigers debut that night vs. Kansas City and picked up the first win of his major league career, throwing a season-high 7.0 innings and giving up one run on seven hits with two strikeouts. Made one relief appearance for the Tigers on August 19 at the Chicago Cubs and tossed 0.2 innings. Posted a 1-3 record with a 5.40 ERA (36.2IP/22ER) and 27 strikeouts in seven home starts...went 0-3 with a 11.32 ERA (20.2IP/26ER) and 16 strikeouts in six appearances, five starts, on the road. Lefthanded hitters posted a .368 (25x68) average against him...righthanders hit .289 (46x159) against him. July 18, 2017 Detroit Tigers recalled LHP Matthew Boyd from Toledo Mud Hens. July 2, 2017 Detroit Tigers optioned LHP Matthew Boyd to Toledo Mud Hens. July 1, 2017 Detroit Tigers recalled Matthew Boyd from Toledo Mud Hens. June 3, 2017 Detroit Tigers optioned LHP Matthew Boyd to Toledo Mud Hens. September 6, 2016 Detroit Tigers recalled Matthew Boyd from Toledo Mud Hens. August 30, 2016 Detroit Tigers optioned LHP Matt Boyd to Toledo Mud Hens. July 9, 2016 Detroit Tigers recalled Matt Boyd from Toledo Mud Hens. June 19, 2016 Detroit Tigers optioned LHP Matt Boyd to Toledo Mud Hens. May 28, 2016 Detroit Tigers recalled Matt Boyd from Toledo Mud Hens. April 25, 2016 Detroit Tigers optioned LHP Matt Boyd to Toledo Mud Hens. April 25, 2016 Toledo Mud Hens activated LHP Matt Boyd. April 24, 2016 Detroit Tigers recalled Matt Boyd from Toledo Mud Hens. March 30, 2016 Detroit Tigers optioned LHP Matt Boyd to Toledo Mud Hens. August 5, 2015 Detroit Tigers recalled Matt Boyd from Toledo Mud Hens. July 31, 2015 LHP Matt Boyd assigned to Toledo Mud Hens. July 30, 2015 Detroit Tigers optioned LHP Matt Boyd to Toledo Mud Hens. July 3, 2015 Toronto Blue Jays optioned LHP Matt Boyd to Buffalo Bisons. June 27, 2015 Toronto Blue Jays selected the contract of Matt Boyd from Buffalo Bisons. June 14, 2015 LHP Matt Boyd assigned to Buffalo Bisons from New Hampshire Fisher Cats. April 6, 2015 LHP Matt Boyd assigned to New Hampshire Fisher Cats from Dunedin Blue Jays. March 22, 2015 LHP Matt Boyd assigned to Toronto Blue Jays. July 28, 2014 LHP Matt Boyd assigned to Dunedin Blue Jays from New Hampshire Fisher Cats. July 4, 2014 LHP Matt Boyd assigned to New Hampshire Fisher Cats from Dunedin Blue Jays. May 29, 2014 LHP Matt Boyd assigned to Dunedin Blue Jays from New Hampshire Fisher Cats. April 30, 2014 LHP Matt Boyd assigned to New Hampshire Fisher Cats from Dunedin Blue Jays. April 1, 2014 LHP Matt Boyd assigned to Dunedin Blue Jays from GCL Blue Jays. September 1, 2013 LHP Matt Boyd assigned to GCL Blue Jays from Dunedin Blue Jays. August 17, 2013 Matt Boyd assigned to Dunedin Blue Jays from Lansing Lugnuts. 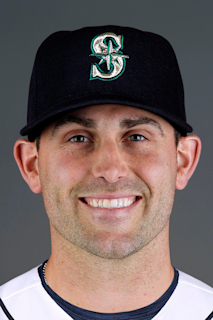 July 25, 2013 Matt Boyd assigned to Lansing Lugnuts. July 11, 2013 Toronto Blue Jays signed LHP Matt Boyd.